I know this is not the place to post this,but ever since I joined Levi 24/7,I had my mind blown away,because I haven't played in such a long time,it was like a completely different game.So many new things to do now.Good work Gristmill! If you come in World and I am Not moving then I am Probably in Host Mode and away. Just send me a Message on Xbox and I will Reply when I get on. I joined in and i even checked out the leviathen forum... Apparently i'm no longer security director. Anyway i'm headed back in now. HAWKSHAD0W wrote: I joined in and i even checked out the leviathen forum... Apparently i'm no longer security director. Anyway i'm headed back in now. At this point, nobody really uses the fancy titles. On most of the Leviathan worlds, it's pretty obvious who runs what world and who contributed a lot. Many of you Contacted me Directly when you didn't notice the World Being up but As of Now the World will once again be Posted as Much As Possible. Between a Technical Difficulty on my End having nothing to do with Xbox or any Bugs I was Unable to Post the World. Also a Few People were getting Reversions and Green Screens more Prevelently so a Break Probably wasn't a bad thing. Once Again to Get out of Observer Say Hi to us all here and keep Checking back for Updates. 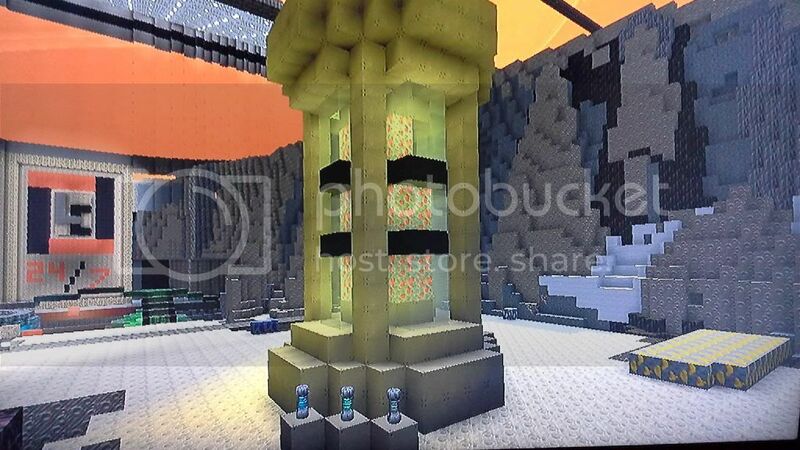 The World is still Active and I will be posting an Image of the North Inside Side View of the Welcome Center in about a day or Two as that side is nearly Complete. Check for the World to be Posted Publicly to walk around and see the ongoing projects. I am launching the World for now in Friends only for those that want to get large amounts of work done without risking Crashes. So PM me if you would like to set up a time on a particular day to be part of that Safer Build Time. The New Tier 4 Stasis Unit has arrived on The Leviathan Projects 24/7 World open for Public Use ! 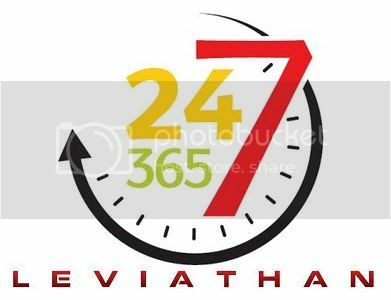 The Leviathan Project's 24/7 Public World is Going Live at Midnight Eastern Standard Time on Sunday! Look for the Host BushKillFalls in the Public Games Tab on XBox Xenominer and Beam into the 24/7 World through our Interpretation of the Original Alien DownGate that Leviathan's Founder discovered that helped Bring the Corporation to Xenos. Come Look around and get Ideas for Projects on your own Worlds and Try out Leviathan's 2 New Projects! Thanks to the new edition of Blocks the Hyper Tunnel and Hyper Tube models are made creating a faster method of Travel. At Weeks End at Midnight on Sunday next week a Fully Functioning Script will be Posted on the Forum to Program your Bot with to make your own Hyper Transit System! Feel free to stop in for a Look at your convenience any time all Week as it will be Hosted Publicly for all 168 Hours this Week in Celebration of the 2.15 Update. After this Week long Marathon the World will be posted at the Host's discretion which will most often be any time I (BushKillFalls) isn't playing some other game which means this world will be up most often for anyone looking to Build on the 24/7 Public Build World. I will not be taking everyone out of Observer Mode as I may not actually be playing, but in Host Mode during your Visit. Send me a Message letting me know you'd be interested in Building on the 24/7 World and after the Weeklong Celebration is over I will concentrate on getting people active in the world. Rules summarized: The Big Crater you Spawn in is A Leviathan Member Project and you have to have a CIC code to work on the project. Don't touch other peoples Stuff unless you are working with them. If you do mean things you're not going to play anymore in our world, but you can still look around and get Ideas. I hope those 3 rules seem fair.